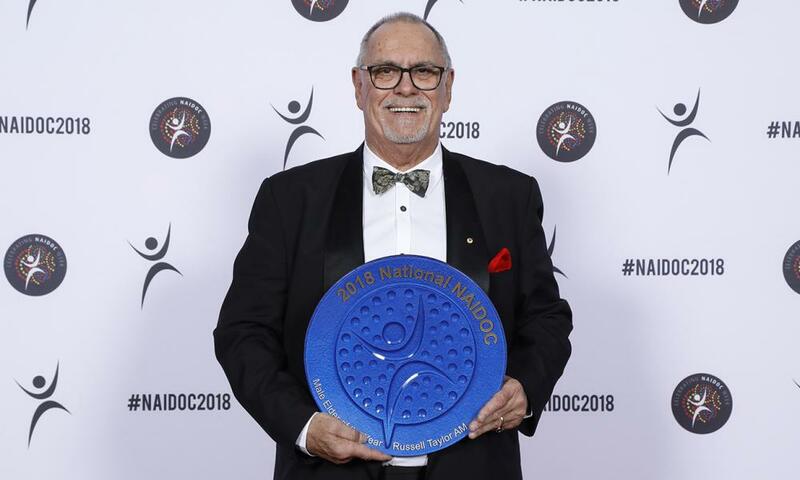 Proud Kamilaroi man, Russell Charles Taylor AM, has been a tireless campaigner for Aboriginal and Torres Strait Islander people for over four decades. Born and raised in Millers Point, NSW, Russell proudly identifies as a Kamilaroi man with family connection to La Perouse in Sydney and to traditional country in the New England area. Russell has spent more than 20 years in senior public services roles, including positions in the Aboriginal and Torres Strait Islander Commission, the Aboriginal Development Commission and two stints as Principal at the Australian Institute of Aboriginal and Torres Strait Islander Studies (AIATSIS). Throughout his career, Russell has advocated for Aboriginal and Torres Strait Islander people to lead, drive and be involved in every process of change, and has inspired action in many.